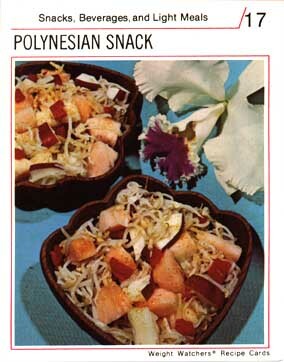 Would you like Polynesian Snack? With beautiful flower? Where is fork? Is Snack for to eat with hand? You like canned bean sprout? And buttermilk? And pimiento? And fruit piece? Mix all together? No? Oh. Maybe Snack is not for you.